A new feature on the blog! I wanted to get the low down on why certain locations were chosen for different books, so I thought it would be nice to get the authors to reveal all. Today I am featuring Miriam Halahmy, author of Hidden which I reviewed here and Illegial which is due to be publishing in March by Meadowside Fiction. 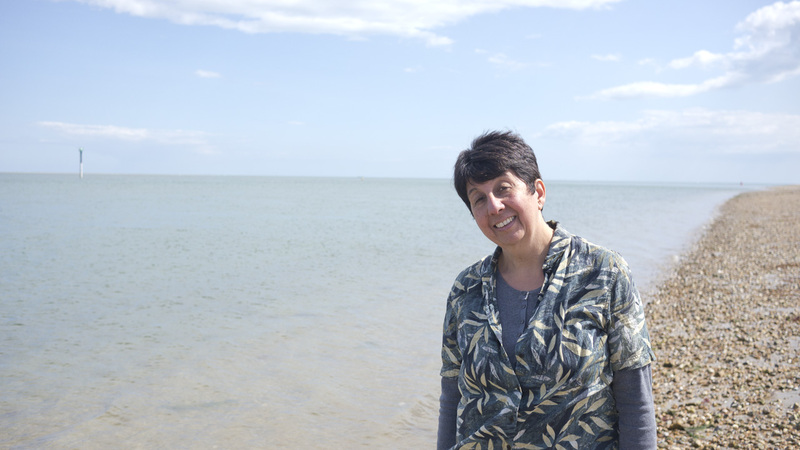 All three books in the cycle are set in Hayling Island which is very near to me, so I asked Miriam if she would tell us all about it. 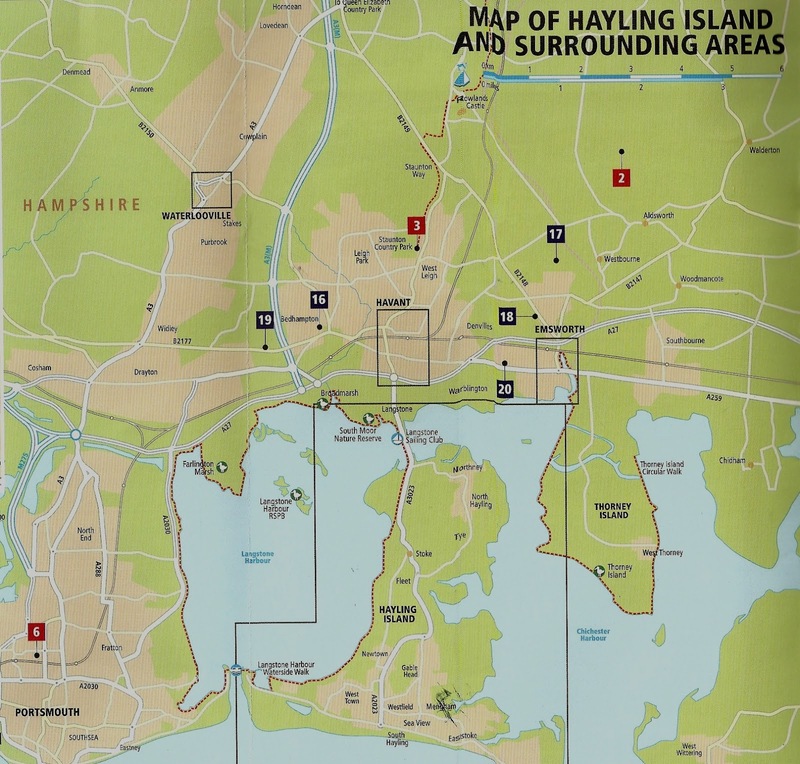 Hayling Island is situated off the south coast of England, next to Portsmouth and opposite the Isle of Wight. My parents lived there for 25 years and I have been visiting the Island since the 1970s. Hayling has a long and fascinating history stretching back before the Celts and the Romans. Churchill visited the southern beaches in WW2 in preparation for the Normandy landings and windsurfing was invented on the Island by Peter Chilvers in 1958. I had always thought that Hayling would be a great place to set a novel. Little did I know that I would end up writing a cycle of three novels, all set on different parts of the Island! The first novel in my cycle, HIDDEN (Meadowside Fiction, 2011) is set on my favourite part of the Island, two minutes walk from my parents’ former house. 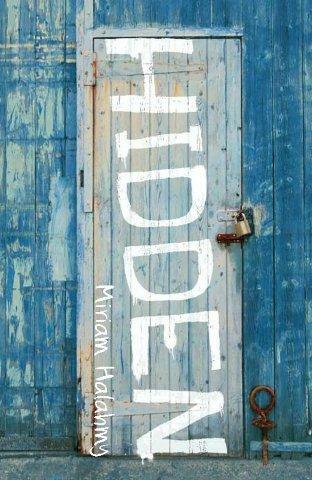 In HIDDEN, on the beach between the Hayling Yacht Club and the Lifeboat Station, two fourteen year olds, Alix and Samir, pull a tortured, asylum seeker from the sea and hide him to save him from being deported. It is February, the sea is freezing cold and there are very dangerous currents here. Alix risks her life for their man but then she is a very impetuous character, standing up against the bullies in school who pick on Samir because he comes from another country. Alix and Samir have to crisscross the Island on buses and bikes to keep their man hidden and to feed and clothe him. They also have to cope as gradually more and more people find out what they are doing. This is a tense, fast moving novel and the Island became one of the characters very early on. I decided to set HIDDEN in winter because this is my favourite time of year on Hayling. The quality of the light especially near the water is quite mysterious. The beaches are often quite empty and you can walk for miles sometimes without seeing anyone else. Hayling is a completely flat island and the wind can blow very hard. Many of the trees near the beaches have been bent right over after withstanding the wind for decades. The second novel in the cycle, ILLEGAL (Meadowside Fiction, March 2012) is not a sequel to HIDDEN but a completely different stand- alone novel. This time it is Lindy’s story, who appears as a minor but very difficult character in HIDDEN. It is summertime and a very hot July near the end of term. Lindy has been given a job by her Cousin Colin, looking after his cannabis farm. The farm is situated in a tumble down house behind Northney at the top end of the Island. I chose this part of the Island because there is a tangle of little lanes with lots of different old houses in that part of the Island. Lindy reaches the cannabis house by bike, cycling over the bridge and then down behind the big hotel and the posh marina. Lindy’s family have tipped into a downward spiral after the sudden death of baby Jemma. Her brothers end up in prison, her parents turn to drink and gambling. Why did Lindy get such a useless family? She thinks that Cousin Colin has thrown her a lifeline but she soon realises she is out of her depth. He forces her to sell cocaine and Lindy is terrified she will end up in prison like her brothers. Then she finds a surprising ally in fellow misfit, Karl and they embark on a desperate plan to ensure her freedom. Only fifteen, like Lindy, Karl rides around the Island on a little motorbike. Lots of Illegal things happen in this book. But this novel gave me a chance to send my characters on wild motorbike rides all over the Island and Portsmouth, as well as a crazy motorboat dash around Chichester harbour. I loved doing the research in the local area for this book and pestered dozens of sailors and coastguards about the winds, the tides, the channels and the slippery, glutinous mud of Hayling, which is an entire character in itself. The third novel, STUFFED, (Meadowside, October 2012) is another stand-alone book. It is Jess and Ryan’s story and I chose to feature the old oyster beds in this book. Hayling Island was famous for its oysters and this was a huge industry on the Island until a famous outbreak of food poisoning, associated with the oysters shut the industry down in the 19th century. Today the oyster beds are wild life sanctuaries for a huge range of birds. Some of the beds are situated alongside the site of the old disused railway line which you can walk along for nearly five miles down the west side of the Island. There are beautiful wetlands here and also old chalk and flint beds which would have been used by prehistoric communities. STUFFED is a novel about loyalties, betrayal and taking responsibility for your own actions. Both Jess and Ryan have a terrible secret which they keep from each other as they realise they are falling in love. But can their feelings survive the strain of keeping quiet? In each of these books the backdrop of the Island is an essential part of the unfolding stories. 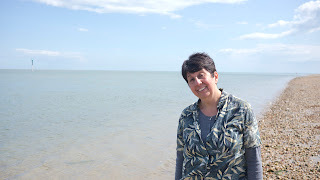 By setting my novels in a real place my aim was to bring the Island alive for my readers, inspire them to go and visit the real settings for my books and help them to see, smell, hear, feel and touch the Island in the ways that I have been privileged to do. I have done an enormous amount of research for each of my novels and have found out so many things about my parents’ Island home which none of us knew. I still love visiting Hayling, walking on the beaches and hunting for shells and fossils along the shore line. Perhaps you will come and visit the Island one day too! What a fabulous post. Thank you so much Miriam. 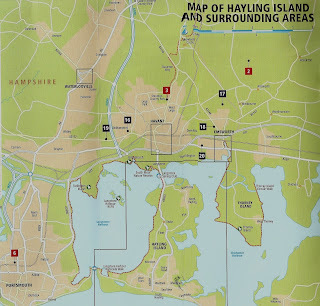 I hope it has inspired everyone to visit Hayling Island soon. 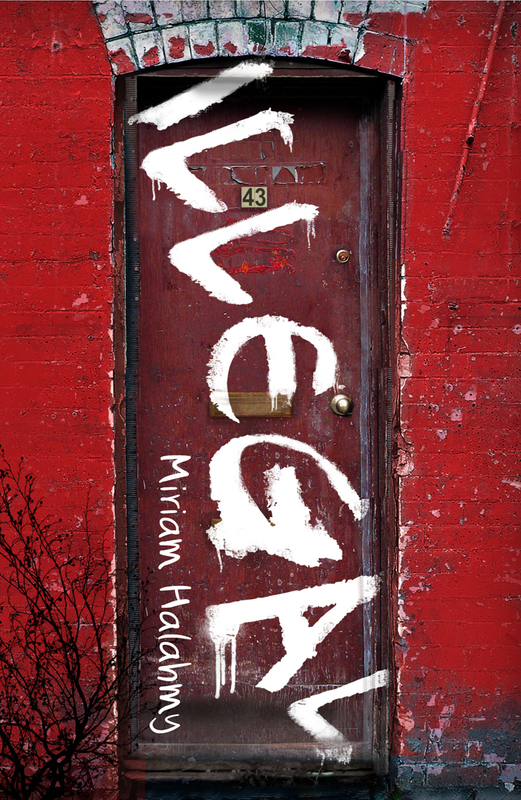 As mentioned and shown above, Illegal is published this month. I've never heard of these books before but I have heard of the location (another place I have yet to get too). Lovely post, I will be sure to check out the books on Goodreads. I'm actually spending a weekend at Hayling Island in April so I'm going to have to pick up copies of the books to read while I'm there! Sarah - you can buy the books from the Hayling Bookshop in Mengham - the UK's smallest bookshop and an absolute gem, run by Colin and Marie. I'm sure you will have a wonderful weekend.